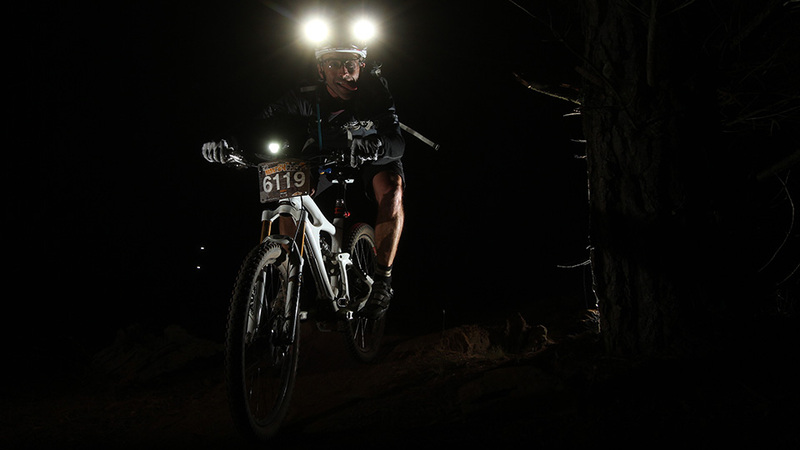 What an adventure into the unknown the 2013 Mont 24 Hour turned out to be. While I’d heard of ‘the Mont 24’, not being into the competitive XC MTB scene I had no idea how huge it was. I was expecting maybe a few hundred riders tops, not over 3,000 riders plus family and friends camping on the edge of the East Kowen Forest… funny!!! 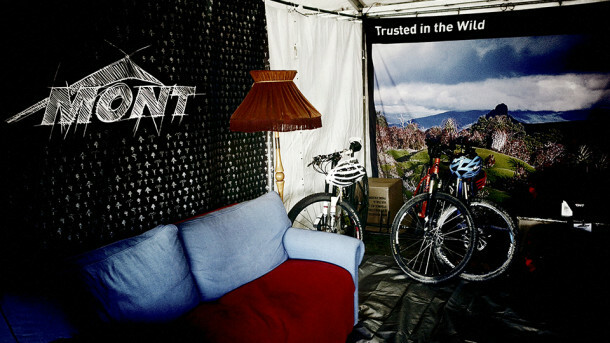 I guess for me that was really the story of the Mont – experiencing and enjoying a large scale MTB event. 2013 Mont 24 Hour: Mickey Mouse Ears! A 3.30am start on Friday had me heading down to Melbourne to hook up with the BikeBox guys for the 8 hour drive to Canberra. BikeBox weren’t heading to the Mont to compete in the race but as an event sponsor. In between helping out riders and promoting their swag of Schwalbe tires, Exposure Lights and Squirt Lube the ‘race’ plan was that anyone interested in riding could head out for lap or two whenever. Team BikeBox was super low key and fun – right up my alley! Arriving at the Mont mid afternoon there were already many camp sites set up for the weekend – we definitely weren’t in Kansas any more! After a quick unpack it was time to check out the event loop, an ~18k jaunt around the East Kowen Forest. Many other riders were doing the same thing creating a MTB conga line as far back and forward as you could see. In terms of personal space out on the trail we’re kinda spoiled around Central Victoria – you rarely see anyone on the trails – so it felt strange and a little frustrating to be riding in traffic rather than simply enjoying the flow of new trails. The course included a mix of single track and fire roads, some climbing but not much, not really anything especially technical, lots of pedaling, a couple of short downhill sections including a bunch of fun berms, but all up a very XC flavored course mostly set in the pine forest. No doubt it was intentionally pieced together to be good match for the huge number of riders and variety of skills and experience present at the event, which is fair enough – well done to the organizers! Personally however TBH I didn’t find the lap enough of a buzz overall to want to wheel around a second time that afternoon. It’d been a long day anyway so I headed off to sleep early thinking I might do a few late ‘off peak’ night laps during the event but other than that kick back, eat lots of food and enjoy the show. 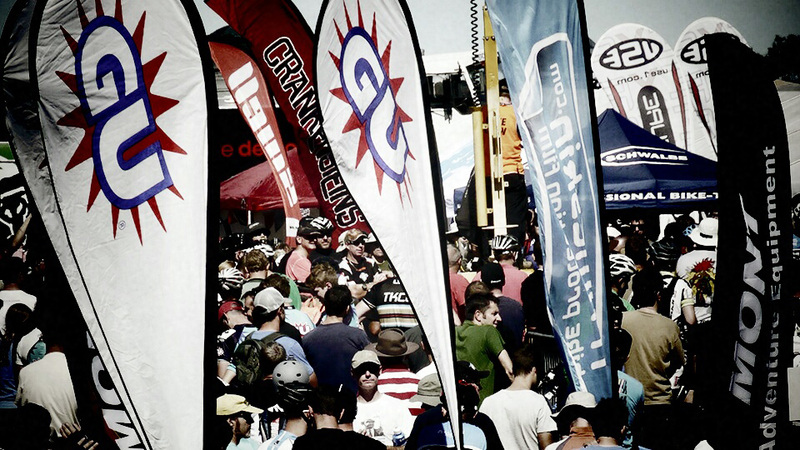 Along with the other event sponsors, the BikeBox camp was located smack bang in the middle of the event center. A great spot to be sure. The sea of MTB’ers that gathered for the pre race briefing under blue skies looked spectacular, followed by the race start which saw ~600 riders charge up through the event center cheered on by everyone else before heading out on their team’s first lap. 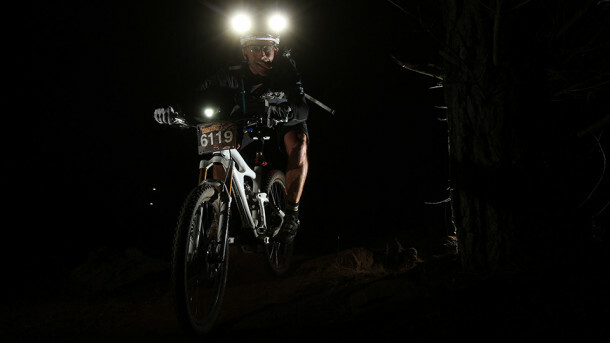 Dan, a pro rider sponsored by Bikebox, who was treating the weekend as a training session opted to do the opening lap. By the end of the lap he was in second place – that would be the team’s brief glimpse of competitive glory. In addition to the sponsor tents there were also a selection of yummy food vendors but only ONE coffee tent… for thousands of caffeine junkies! No doubt the coffee was good and the guys were very friendly but I did wonder if the Mont 24 was in fact named after the 2.4km slow moving morning caffeine queue or the total number of hours spent over the weekend lined up waiting for a fix. I reckon a second coffee vendor would’ve been a good move. The transition area made for great people watching with an endless stream of riders charging in and handing over to their team mates. For some the transition process appeared to be life and death stuff, for others it appeared to be mainly about having a fun experience. Bikebox were busy helping customers non stop, while I was busy lounging in the sun tanking up on baked potatoes, pizza and coca cola waiting for night to fall. Guess I forgot the plan usually is to stuff yourself with food after the ride! I’ve never had a remedial sports massage, so at a $1/minute had to check it out. After years of neglect it was payback time – my calves and thighs HURT real good. It felt great! I wanted to cry like a baby for most of the 30min but settled for a short sleep afterwards as my legs went from feeling blissed out to like they were draining toxins. Tick off more excellent pre ride preparation. A few hours after Dan’s blistering first lap Lisa headed out for a lap, then later on sometime Dan headed out for another. With coke and pizza still sloshing around my stomach I geared up and hit the trail just on 11pm. I should’ve probably waited another couple of hours for the food to settle and for there to be fewer riders to be out on the trail but was mindful of needing to bank a few hours of sleep as this time the following night I’d still be driving home. I can’t even begin to calculate the number of wheels that had rolled over the course by late Saturday night but it was holding up well. What was damp and grippy on Friday afternoon had become dry and dusty. The plan was just to cruise around on the first lap and go from there. With a lot of riders still out on the course much like on Friday it wasn’t so much about enjoying the trails but riding in traffic and lucking a clear run down the funner sections. Here’s some footage from the first lap out, thanks to the guys at BikeBox who lent me their GoPro Hero 3 Black edition. Unfortunately the battery on the GoPro died before I reached the rock band jamming away right on the trail in the middle of the forest, complete with smoke machine – a definite highlight of the lap I reckon! After a second lap I was feeling a bit like a hamster in a wheel and figured that was probably enough. I grabbed a hot chocolate and a cold shower (yeah the hot water in the shower trailer wasn’t working, bummer!) and snoozed the rest of the night away. After queuing up for a morning coffee, BikeBox packed up camp and headed off on the long drive back to Melbourne shortly after the event ended around midday. 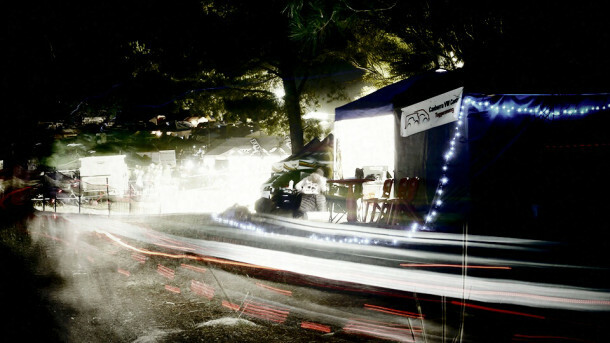 2013 Mont 24 Hour: Hamster Racer! While a 24 hour XC event is a long way from my first choice of fun things to do on the Mojo HD, it was a great opportunity to ride somewhere new – always a cool thing – and the scale of the Mont 24 was definitely an eye opener! 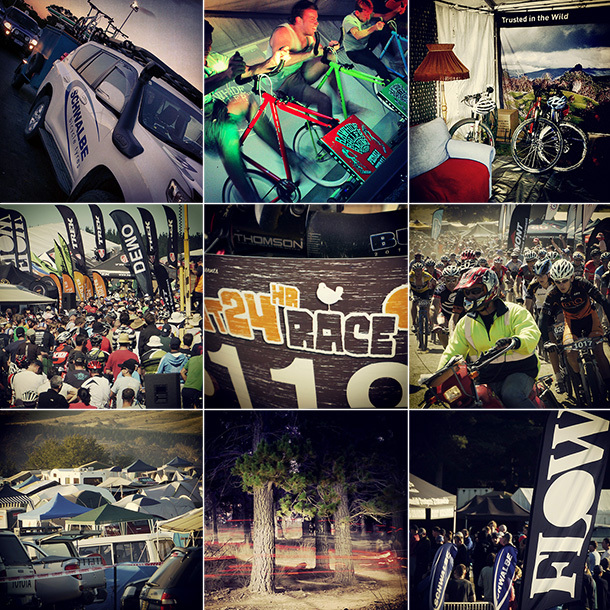 The guys at Self Propelled Events have definitely got things wired when it comes to running huge events. I guess the Mont has motivated me to make more of an effort to get to more of those places on my MTB bucket list, and maybe even make it to a few of the gravity enduro events that are springing up all over the place. 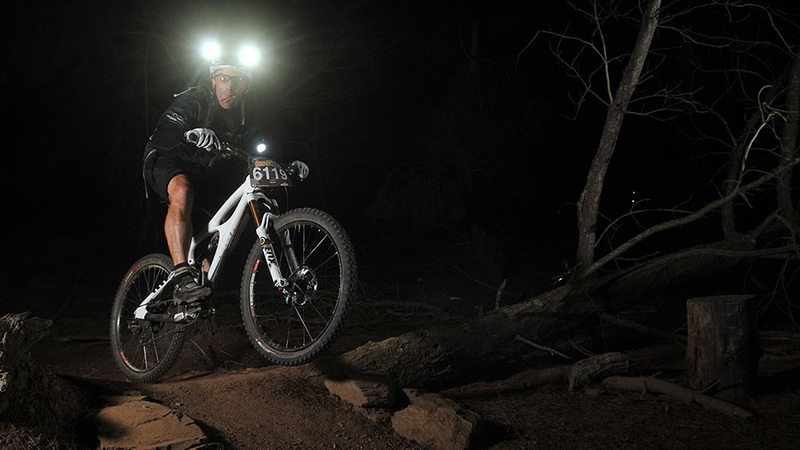 I’d also like to return to Canberra to ride East Kowen sans the few thousand other riders, and take the time to explore and enjoy the trails for what they are and all the work that has gone into them… and maybe check out Stromlo too! Lastly many thanks to Guy and the BikeBox crew for having me a long, seriously appreciate it! I’m a fellow rider who was at the Mont. I’m wondering if I might get permission from you to use some of your footage for a review video for my team. I expect I’ll only use 3-6 seconds. I’ve attached a link to a video I produced last year. Yeah sure absolutely, go for it! Also I’ve got a bunch of pics taken at the rider briefing, including with the Crankenstein flag flying amidst all the other stuff. You probably have a bunch already but I’m happy to upload a few if you’re interested.